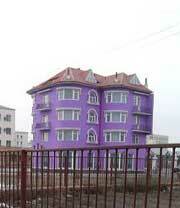 How high are realtors' and lawyers' fees in the Mongolia? What about other property purchase costs? How difficult is the buying process in Mongolia? 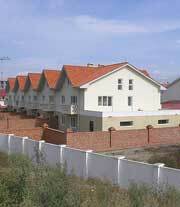 Land in Mongolia is under state ownership, and this affects condominiums, since ultimately they sit on land. Although the Constitution provides for the possibility of private ownership of urban and arable land, till recently the existing legislative framework did not provide a mechanism for introducing such private land ownership. Mongolia is a country of nomadic herders, accustomed to pastureland being under common ownership. However, the reality is that developed freehold property can be bought and sold, by foreigners and by Mongolians, but that the terminology is not that of a sale of land, but that of a 'lease', or alternately, of an 'Immovable Property Ownership Certificate'. Holders of use rights may not sell or lease their rights. Holders of possession rights may lease their rights (but not sell). Mongolia has taken important steps to make possession rights more transferable, and to make lease rights equivalent to private ownership. Possession requires a licence. The latest Law is the Law of Mongolia on Land of 7 June 2002. Under it, a patchwork of bodies have the right to take over land, and to take decisions regarding land use and possession. In practice, there are three major ways of holding land. Every Mongolian is allowed to have a plot of land to live on for free for life. The government allocates that plot of land, generally where people already live. Developers buy a Construction Lease, generally for 5 years with conditions. The buyer must submit architectural plans for the land within one year, start foundations within 2 years, and complete construction within 5 years. Some developers take a 60 year lease, but most prefer to hand the land back to the government after 5 years. Once the building has been completed and approved, the developer receives Immoveable Property Ownership Certificates for each unit in the building, which are then issued to the buyers of the units. From that moment the land is "locked" to that property, and those certificates are legal tender. The certificates can be used for loans, mortgages etc. Maintenance of common parts is decided by the owners' association just like any other building in the world, the details depending on the terms of the owners association. Every building has an owners association. The purchase process is simple. Everyone must sign the contract as provided by the notary, no changes can be made in it. In the case of a new property the buyer goes to see the notary, signs the contract, takes the contract and the ownership certificate to the registration office, and has it registered. If the slightly more expensive 'urgent procedure' option is chosen, the initial steps can be done in a day. Transfer of the land use right - 7 days. 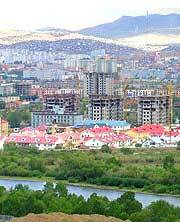 The process of registering property in Mongolia takes around 17 days to complete. Immovable Property Ownership Certificates can be bought and sold, and used for loans and mortgages. The land is "locked" to the property for which certificates have been issued. If anyone wants to develop the land, they must own all certificates linked to it. The main purpose of the certificates is to ensure development of the land, i.e., to prevent land lying unused for long periods. Neither the Government nor any other legislative body can evict landlords or confiscate property for which there are Immovable Property Ownership Certificates. There are no foreign exchange controls, or restrictions on the flow of foreign capital in or out of the country. The currency risk associated with Mongolia is relatively low. Transfer tax is levied at a flat rate of 2% on the property value. The seller obtains the non-encumbrance certificate from the Immovable Property Registration Office. The fee is MNT5,000 (US$5) for the regular option that takes 3 business days, and MNT10,000 (US$6) for the expedited option that takes 8 hours to 1 business day. The seller should generally pay the real estate agent's fee but the buyer may pay the fees in reality. How high is income tax on residents in Mongolia?